The purpose of this policy is to assure prompt and equitable service to residents requesting access to public records, including those records created by electronic mail, in accordance with the requirements of C.R.S. 24-72-201 to C.R.S. 24-72-206. The Colorado Open Records Act (CORA) safeguards every citizen’s right to access government records. 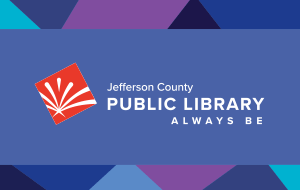 Jefferson County Public Library strives to be as open and transparent as possible and includes many documents on the JCPL website. Other relevant documents may be available on the Jefferson County website. Residents are encouraged to begin any document searches there. With some state statute exceptions, almost all JCPL records are public records; however, in some cases, the records may not be available in the format requested or the record must be withheld by statute. To access those records, a formal open records request should be filed under the Colorado Open Records Act. This policy applies to all requests for Jefferson County Public Library records, including those made pursuant to the Colorado Open Records laws. This policy aligns with and supports the Open Records Policy of Jefferson County. Requests for Public Records under the Colorado Open Records Law. Requests for public records made pursuant to the Colorado Open Records laws must be submitted in writing and must be specific as to the records sought. The Library will respond to requests made pursuant to the Colorado Open Records laws within 3 working days whenever possible. If the request is voluminous or extenuating circumstances apply, the custodian of the records will notify the requester that delivery may be delayed. The Communications Director’s time may not be included in the Data Compilation cost. The requester must be provided a cost estimate, and may be requested to pay all or a portion, prior to compiling the information. The records/documents being researched are returned to the files in the same order as when they were removed.